El Segundo, Calif., August 13, 2010 - Cell phones and a slew of emerging devices will power the market for consumer electronics and cell phone Microelectromechanical (MEMS) sensors toward solid, uninterrupted growth in 2010 and beyond, according to the market research firm iSuppli Corp.
Revenue for MEMS sensors and actuators used in consumer electronics and mobile handsets is projected to reach $1.5 billion in 2010, up a solid 22.9 percent from $1.3 billion last year. Unlike most industries, the consumer and mobile MEMS market did not suffer a decline last year - even at the height of the global economic downturn - and growth ranging from 17 percent to as much as 28 percent will continue during the next four years, said Jérémie Bouchaud, principal analyst for MEMS and sensors at iSuppli. The attached figure presents iSuppli's forecast for the consumer and mobile MEMS market from 2009 to the end of the forecast period in 2014. MEMS sensors and actuators are employed in a variety of additional sectors, including data processing - e. g., printers, projectors, copy machines - automotive, and other high-value markets embracing the industrial, medical, wired communications and aerospace-defense segments. Nonetheless, consumer and mobile MEMS - already among the largest MEMS markets - are projected to become the biggest MEMS space by 2014. Here, sensors find their way into everyday devices such as laptops, MP3 players, remote controllers and portable navigation devices. In particular, new consumer products will drive existing and future opportunities, iSuppli believes. The MEMS accelerometers and gyroscopes used for e-books and slate tablets like the iPad from Apple Inc will amount to $105 million in 2014, compared to an almost negligible $3 million in 2009. 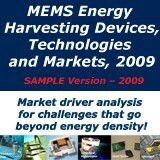 Also helping spur expansion of the consumer and mobile MEMS market are various new emerging devices coming into fruition in 2010 and 2011. Among them are 3-axis gyroscopes, pico-projectors, and RF MEMS switches and varactors, iSuppli data show. 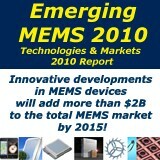 All told, new MEMS devices will bring an additional $1.3 billion by 2014, up from a mere $33 million in 2009. Cell phones, however, remain the dominant segment for consumer and mobile MEMS. In 2010, MEMS sensors and actuators in mobile handsets are forecasted to reach $821.4 million, making up 53.1 percent ”well over half” of the market. Cell phones will continue to be the largest user of consumer and mobile MEMS over the next few years, ahead of consumer projectors, laptops and hard disc drives, game controllers and digital still cameras. 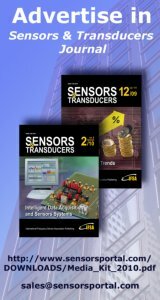 Accelerometers remain the chief MEMS device, netting $557.1 million in revenue for 2010. While their use in gaming controllers and cell phones has either reached saturation or is close to doing so, accelerometers will increase their penetration in laptops and netbooks, and are sure to gain greater exposure in booming categories like e-books and slate tablets. Other MEMS devices finishing strongly this year, in descending order, are gyroscopes, BAW filters, microphones and MEMS-based displays for projectors. By 2014, MEMS displays will leap into third place, pushing microphones and BAW filters into the fourth and fifth spots, respectively.